Dates and prices for Young Dartington are now live, we are now taking bookings for this summer online. The new brochures will be ready at the end of February. Just sent off the 2014 brochure to the printers and will be posting it out to our previous customers in the coming weeks. It follows the new sky and clouds theme of this website. Please take note of the new postal address: 2a Alleyn Road, London SE21 8AL for sending your booking forms and the business name for sending cheques: Indie Outdoors. I have just updated our dates and prices for 2014. There will be no price increase for any of our basic prices. Only rock climbing and caving have gone up £1 per double session so that we can pay our dedicated and wonderful instructors more per day. At YD summer Camps we pride ourselves with our healthy, home-made , child friendly food. Eating should be an enjoyable and sociable, we don’t demonise food as we consider most things are OK in moderation. We all eat together at YD, just like a family, albeit a very large one and we eat outside unless it is raining. We make all our food on-site so all our ingredients are fresh and mostly home-made. Kids don’t always like vegetables but if you hide them in the sauces and blend them they add loads of flavour and the kids lap it all up. Over the next few weeks we will be adding some of the recipes we use at YD. These are tried and tested recipes for kids and are all suitable for catering for large groups of children. 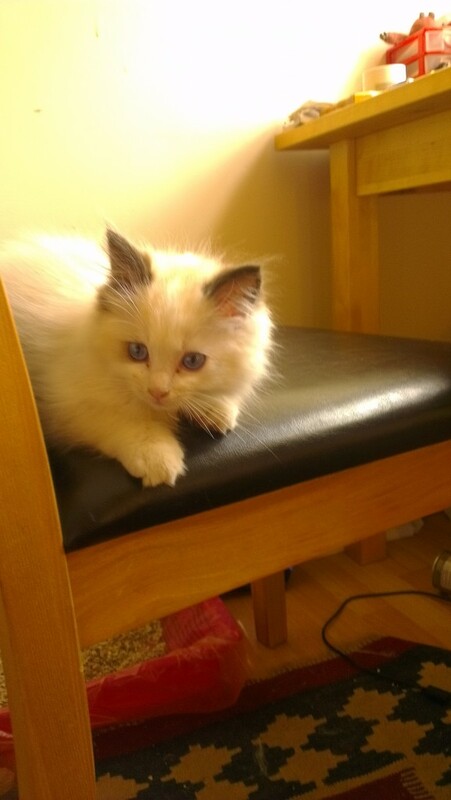 This is the latest addition to the YD family a 9 week old Ragdoll kitten Blizzard. He will be joining us at the camp this year.